Outstanding contributions to science have been recognised by the Australian Academy of Science with 20 of Australia’s leading scientists receiving a 2019 honorific award. 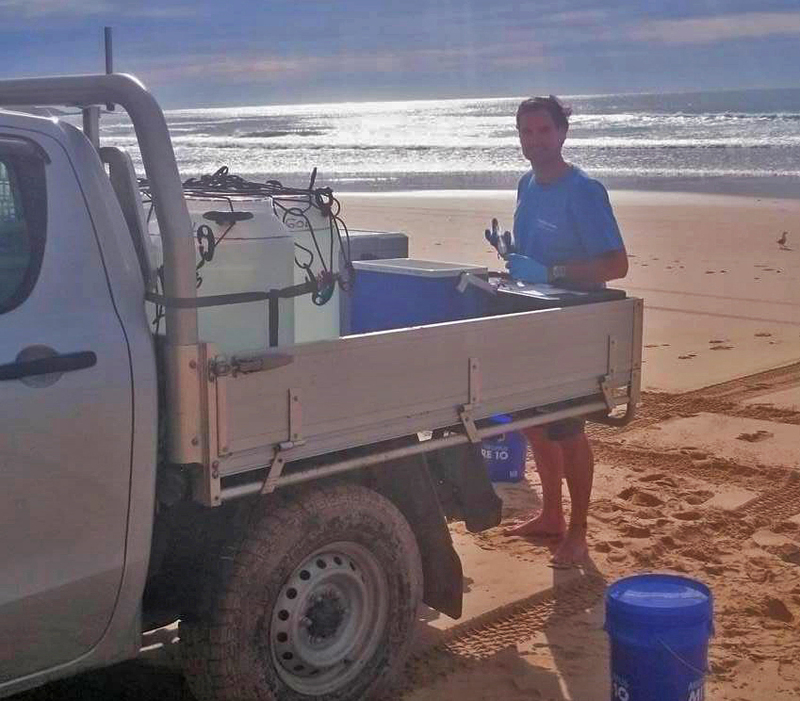 Congratulations to barefoot PhD student Ashly McMahon for completing his PhD titled “Ecosystem calcification and production in two Great Barrier Reef coral reefs: Methodological challenges and environmental drivers”. Lots of adventures along the way – we hope you enjoyed the journey! The Barefoot Team just picked SCU’s 2018 Excellence in Engagement Awards for their work with water quality! A./Prof. 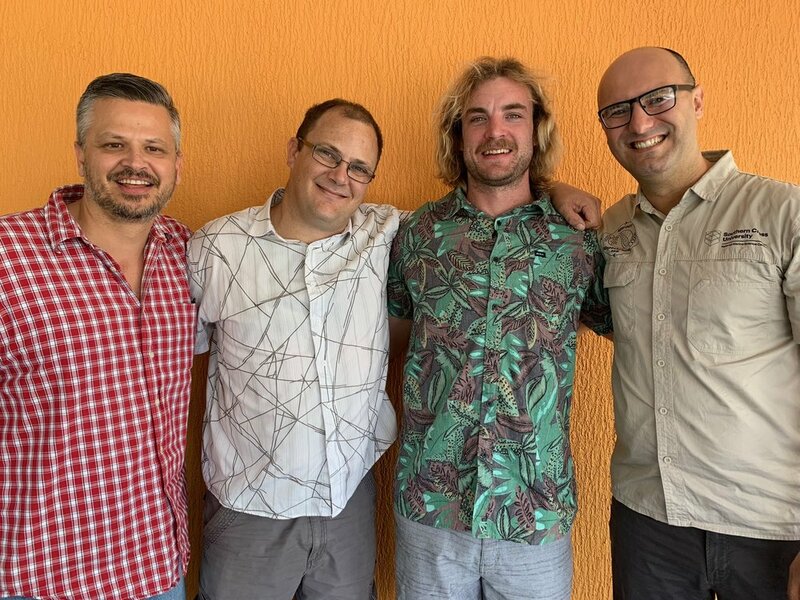 Christian Sanders, Mr Shane White, Mr Stephen Conrad, Prof. Isaac Santos. Here is a link to a video featuring our community-star PhD student Shane White explaining this work. We say farewell to “Tunga” Dr. Batsaikhan Bayartungalag, our Endeavour Scholar visiting from Mongolia working on groundwaterpollution. It was an honour to host you and look forward to further collaboration!  4th Annual Barefoot Biogeochemistry Camp. Blending family and work life. Great weekend away at Nymboida Canoe Centre! “What skills are required to get a PhD?" Add plumbing and electrical work to the list. 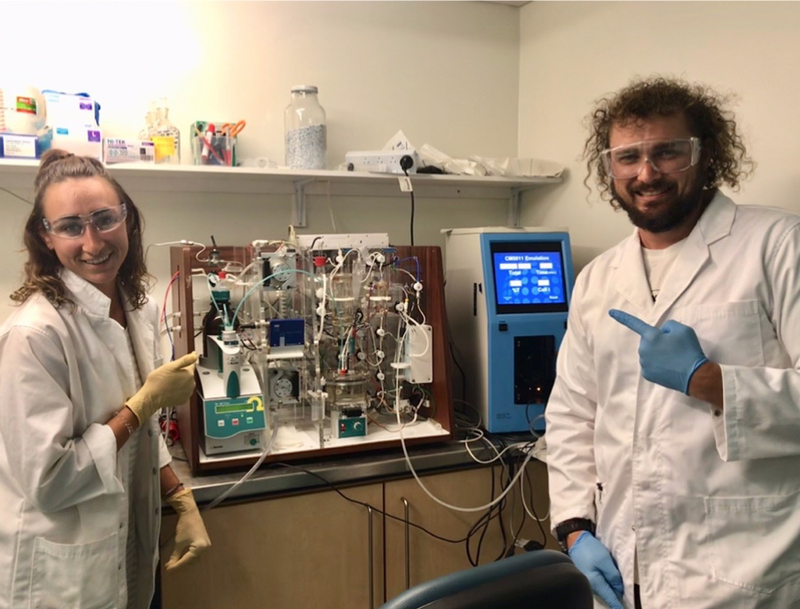 Check out happy barefoot PhD students Kay and Ash after conquering a beast named VINDTA with gentle hands, driven hearts, creative brains, and full support from coffee. 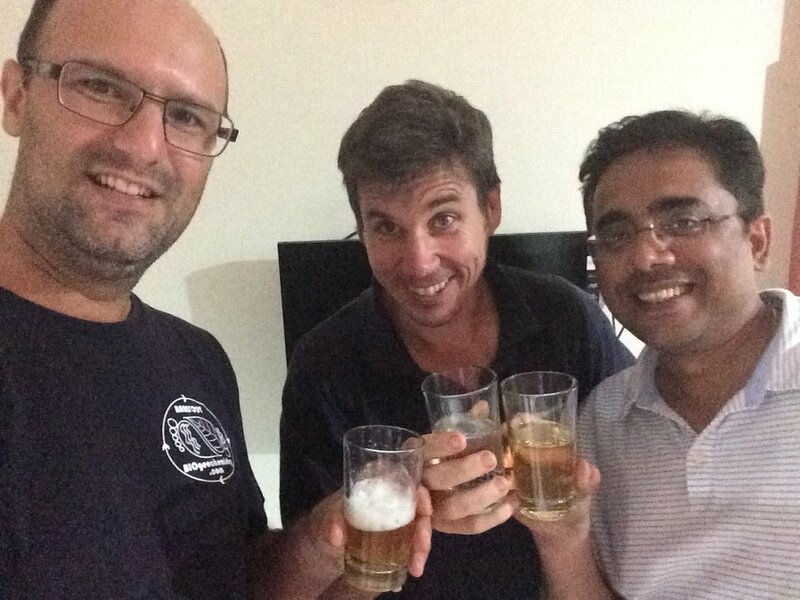 Isaac and Douglas just returned from a week in Kerala, India. Isaac is advising on the creation of a national network project on submarine groundwater discharge by colleagues from the National Centre for Earth Science Studies and other >20 Indian institutions. 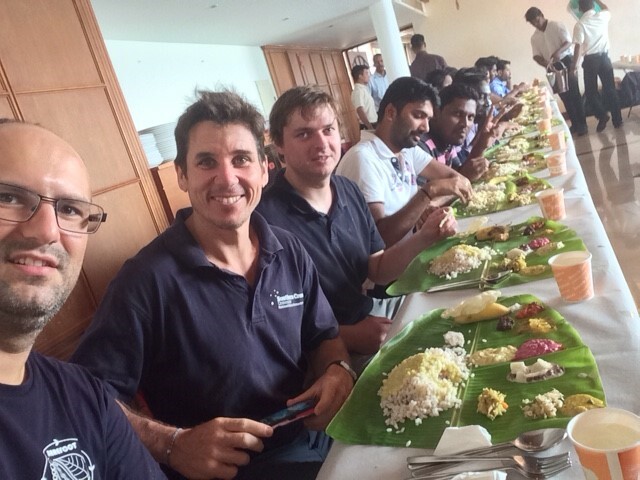 The crew performed initial investigations in beaches, mangroves, and enjoyed the local food and hospitality. 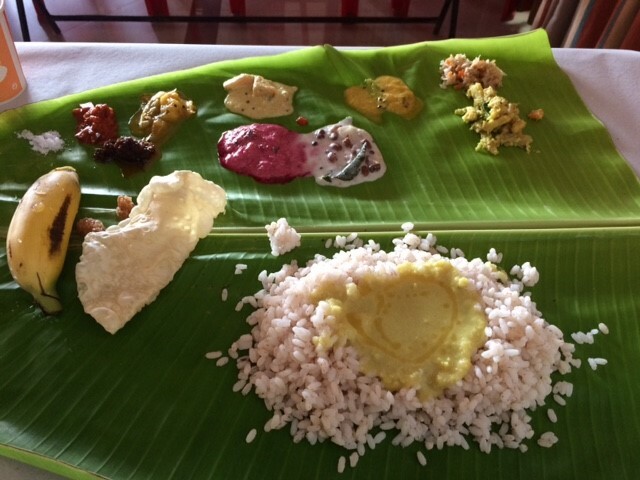 They also trained Indian colleagues on some of the SGD techniques. Further collaborative research is planned for the near future with the exchange of students and research tools. Rarotonga (Cook Islands) field work. 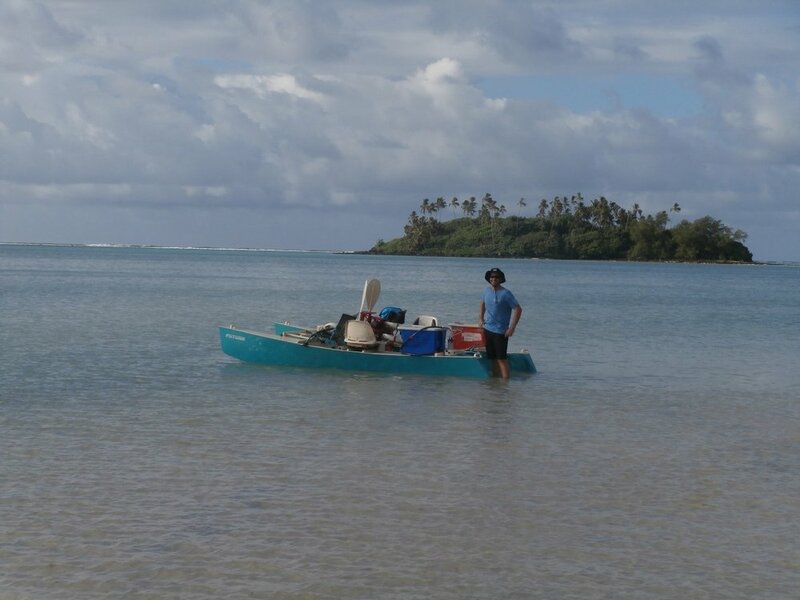 From the 1st to the 10th of February a small barefoot team consisting of Phd candidate Michael reading, IP student Kylie Maguire, Douglas Tait and Dirk Erler travelled to Rarotonga in the Cook Islands to investigate groundwater contribution to nutrient budgets and greenhouse gas emissions. The Lagoon has extensive eutrophication issues and as a result a coral to macro algae dominated phase shift is evident. The research will be used to identify potential mitigation measures as part of a larger international collaboration including both industry and other universities. 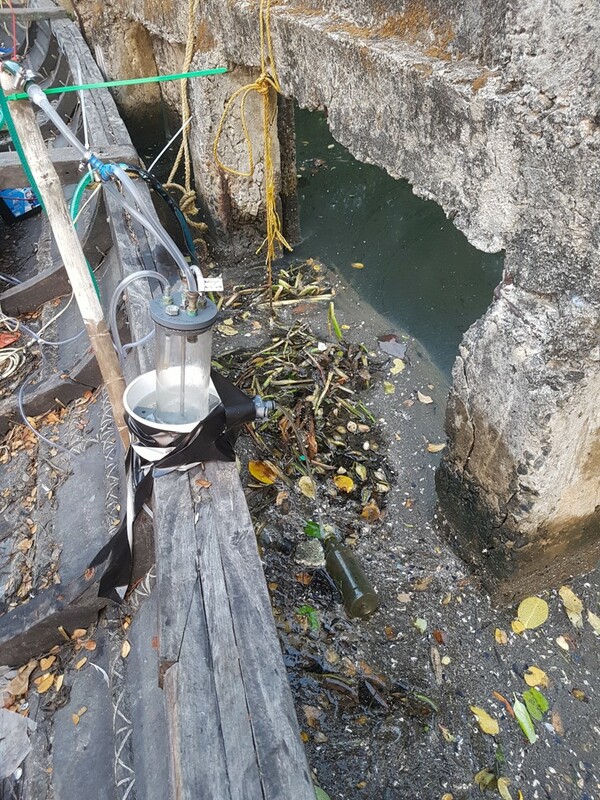 The team conducted time series sampling, spatial surveys and sediment incubations in the lagoon in addition to sampling creek surface water and groundwater at a range of monitoring wells adjacent to the lagoon. Radon and Radium isotopes were measured to quantify pore water exchange, fresh groundwater seepage and water residence time in the lagoon. 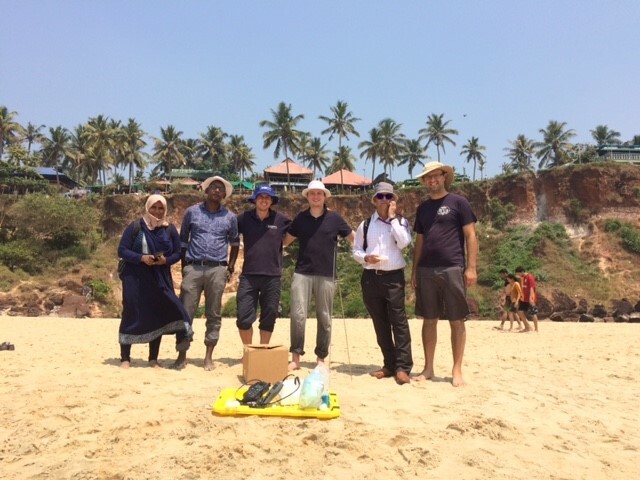 Physiochemical parameters, nutrient and greenhouse gas levels were also measured in ground and surface waters and denitrification rates were measured in sediment using closed incubation chambers. 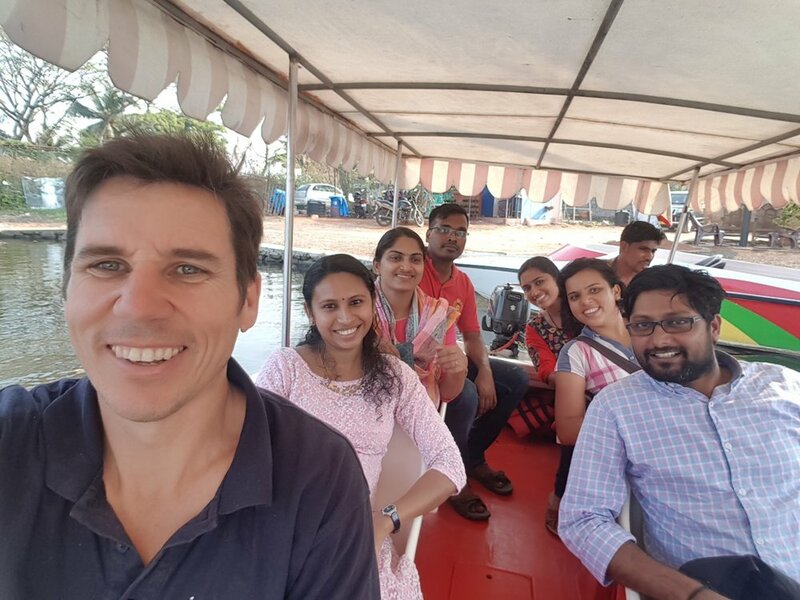 Michael Reading launching the pedal catamaran for a radon, nutrient and GHG spatial survey of the Muri Lagoon. 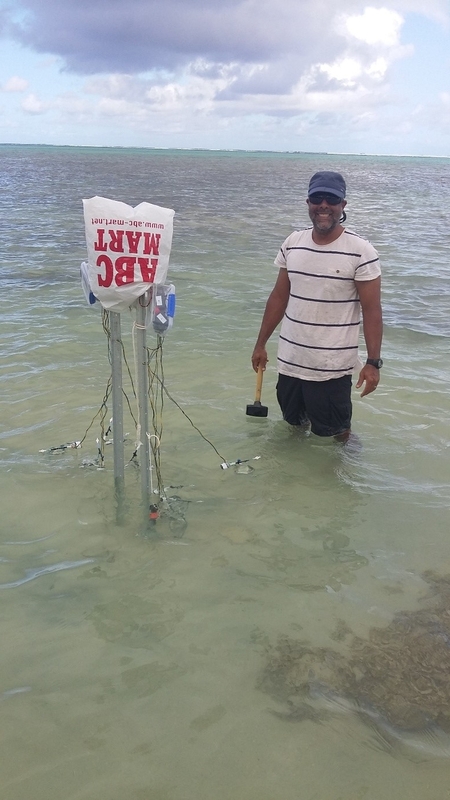 Dirk Erler installing sediment incubation chambers in the Muri Lagoon. 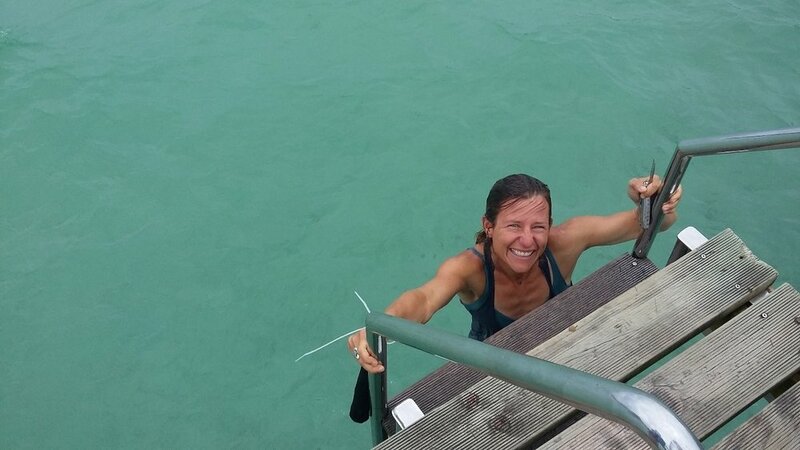 Kylie Maguire retrieving the last Radium soak sample. Overall, a lot of fun was had over the 8 massive days (and nights) in the field. All objectives were met despite some equipment issues (que the sinking kayak) and local tv and newspaper interviews.